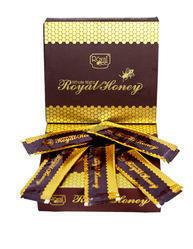 Features: Royal Honey is an instant source of energy to enhance male vitality. Is rich in Pollen. It is processed in keep in mind that all the pollen remain in honey which gives more nutritional values and medical values. Multiflora Honey is 100% natural and pure. Natural multi flora honey helps in improving immunity. royal bee natural products pvt ltd.